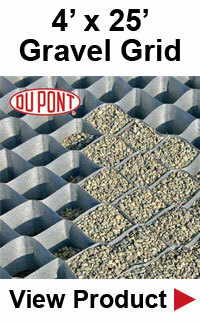 Typar parking lot bay marker has been manufactured to snap-fit into the BodPave®85 porous plastic grass pavers. Capable of producing many lines, shapes, letters and words (inc. bay lines, L-shapes, T-Shapes, squares, T Junctions and access road center lines. The marker can be easily cut to produce a smaller square markers as required. Manufactured from HDPE. Note: Bodpave 85 parking space markers must be ordered with an accompanying Typar Bodpave 85 order and cannot ship alone.